What makes Salesforce (CRM) distinctive in the tech industry is its rapidly growing revenue and stock price that consistently set new records. The customer relationship platform evokes interest in the market every time it reports quarterly results, typically at the fag end of the earnings season. 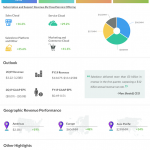 Expectations will be high as usual when the cloud computing specialist reports results for the second quarter of 2019 on Wednesday after the closing bell, with Wall Street estimating a 42% increase in adjusted earnings to $0.47 per share. Revenues are seen rising 26% annually to $3.23 billion. The forecast is broadly in line with the company’s own guidance. Wall Street is particularly optimistic about the service cloud offerings, an area where Salesforce enjoys clear dominance. The division accounts for about one-third of the company’s total revenue and has been maintaining a steady growth trajectory for quite some time. The positive cues from this fast-growing segment and the steady momentum in marketing cloud and commerce cloud will likely translate into an upward revision of the outlook. The company’s ongoing efforts to enhance customer experience and costs related to the recently acquired assets will add to operating expenses, putting pressure on margins. However, considering the growing scale of the business, operating expense as a percentage of revenue should stay at sustainable levels in the long term. A couple of months ago, Salesforce expanded its business partnership with Google Cloud (GOOG, GOOGL) and acquired data integration services provider MuleSoft for $6.5 billion. In the first quarter, revenues of the San Francisco, California-based company jumped 25% to more than $3 billion with significant contributions from the subscription and support segment. 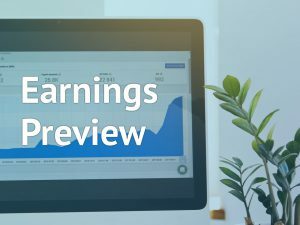 There was a corresponding growth in earnings, which marked an improvement from the break-even results in the year-ago quarter and topped estimates. 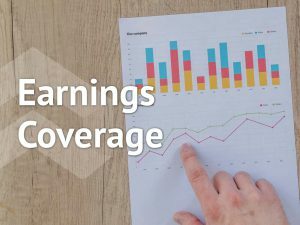 As a result, the company revised up its guidance for the second quarter and fiscal 2019. Both the management and investors have been bullish on their outlook for Salesforce in the recent quarters, when outstanding revenue performance pushed up the share price to record highs. The stock gained about 62% over the past twelve months. After crossing above the $150-mark last week, the stock opened at yet another all-time high on Monday and continued to gain in early trading.